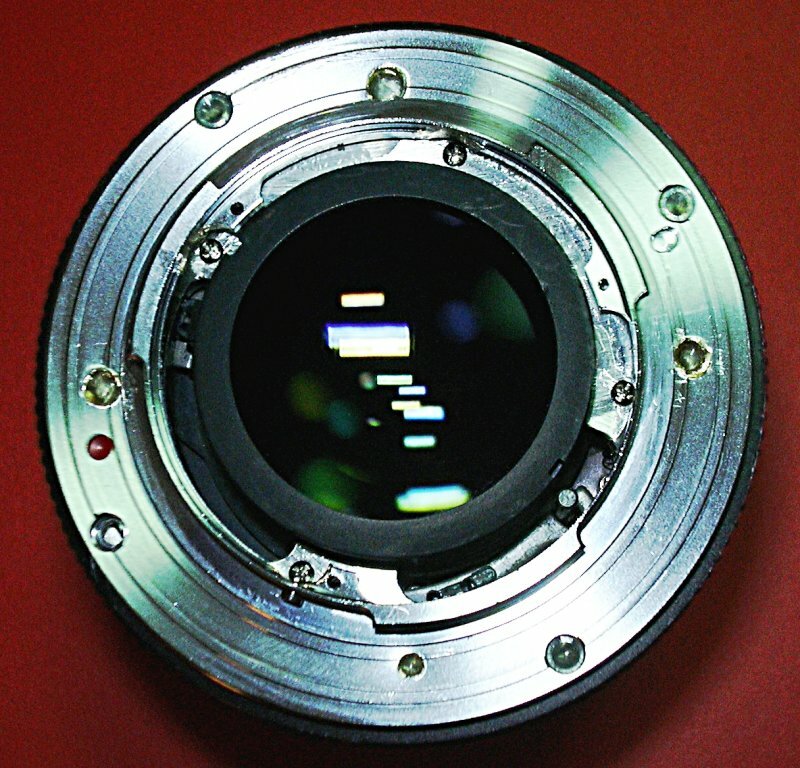 Screw C/Y plate back on lens. The nasty empty holes in the Sigma plate are from a botched operation with a different lens. * Addendum: Don't epoxy a Sigma plate to a C/Y plate. I did much better with this type where the old C/Y mount screws inside the Sigma plate hold the C/Y plate on the lens, and the Sigma plate is only screwed to the old C/Y plate--not epoxied as in this first version. See this gallery, Zeiss 28mm f2.8 for a better way of fastening a Sigma plate to a C/Y plate which is fastened to the lens.